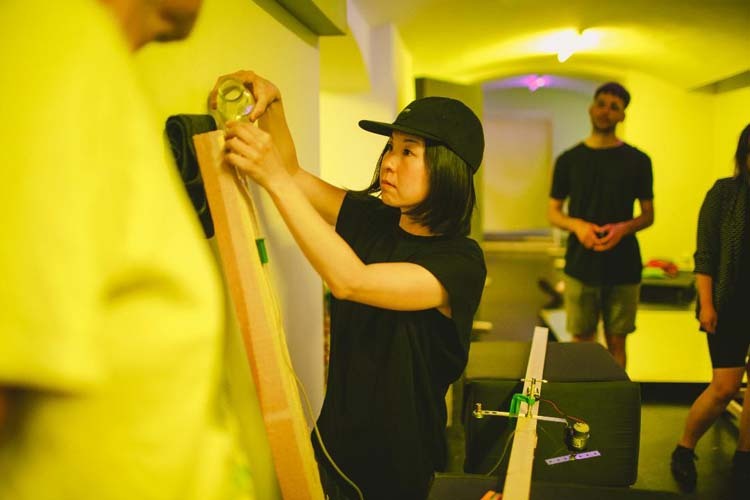 Ryoko Akama is a sound artist, composer and performer, who approaches listening situations that magnify silence, time and space and offer quiet temporal/spatial experiences. Her sound works employ small and fragile objects such as paper balloons and glass bottles, creating tiny occurrences that embody ‘almost nothing’ aesthetics. She composes text events and performs a diversity of alternative scores in collaboration with international artists. She runs melange edition label, amespace and co-edits mumei publishing.